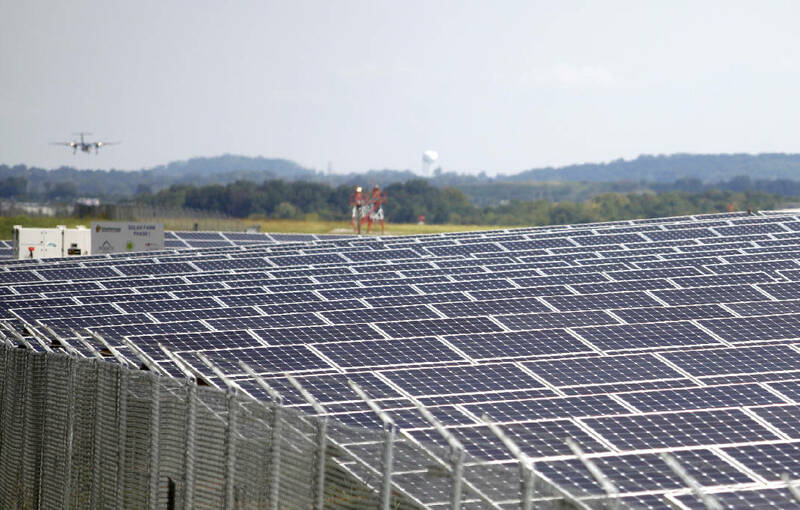 An airplane flies into Chattanooga Metropolitan Airport in the background as part of Lovell Field's solar farm is seen near the runway. The airport’s first phase of its solar farm, a 1 megawatt array, consisted of 3,948 solar panels. The second phase, at 1.1 megawatt, added 3,542 panels. The third phase is expected to make the airport energy self-sufficient, officials said.